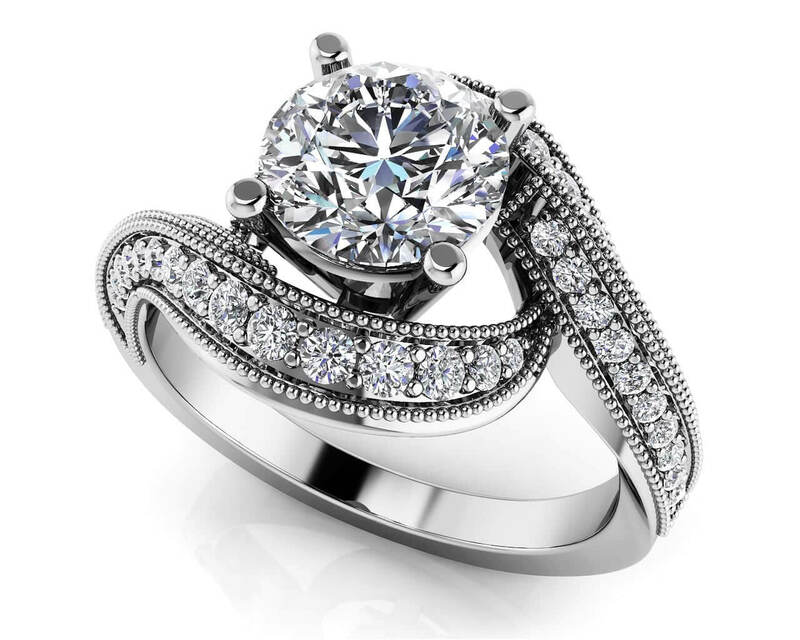 Take her breath away with this exceptionally gorgeous engagement ring! 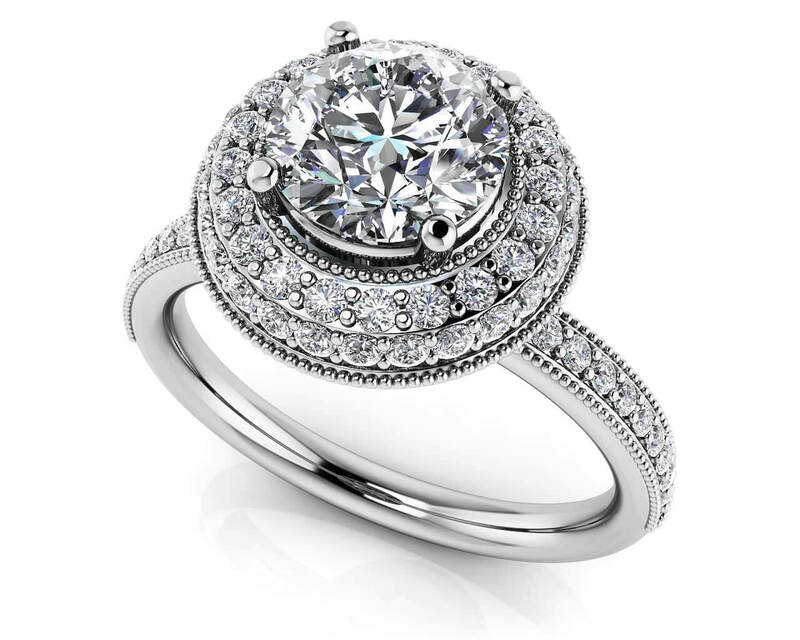 Round diamonds swirl around a larger diamond center stone to captivate everyone around. 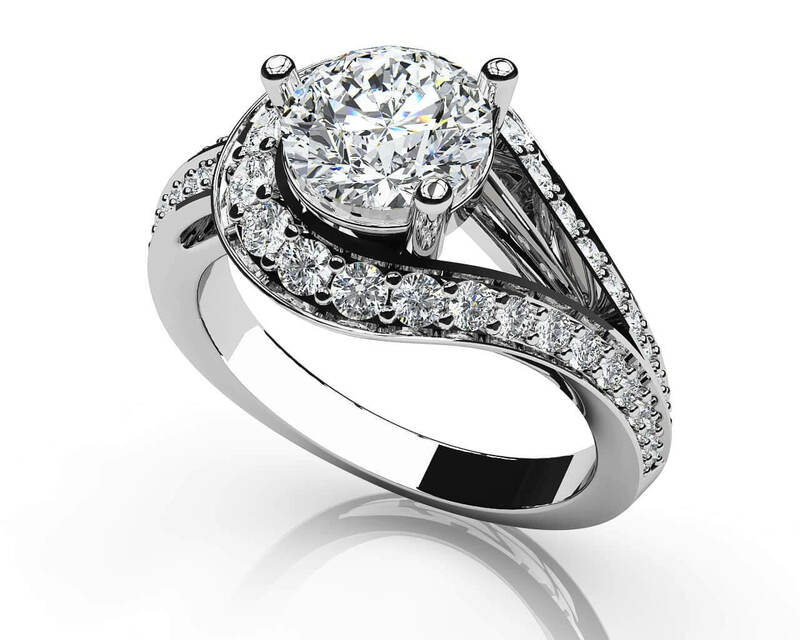 You choose the type of metal, total carat weight, and diamond quality and we’ll do the rest. Stone Carat Weight: 26X.008 ct., 4X.013 ct., 6X.020 ct., 7X.025 ct.